جمعیت انقلابی زنان افغانستان (راوا) قدیمی ترین سازمان سیاسی - اجتماعی زنان افغان است كه از سال ۱۳۵۶ بدینسو بخاطر آزادی، دموكراسی و احقاق حقوق زنان در افغانستان بنیادگرا زده می‌رزمد. 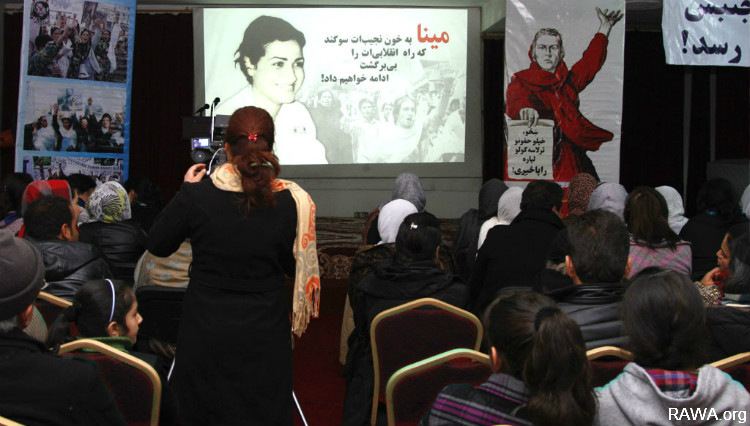 If you are freedom-loving and anti-fundamentalist, you are with RAWA. Support and help us. سرتاسري یووالي سره امریکایي او ناټو نیواکګر دمنځه یوسو! د غویي اتمې او اوومې ننګونې به د دې د لاملینو د منځه وړلو سره له کلیزې لیرې کړو! «د پاریس کنفرانس»: نه یې بخښو، نه یې له یاده اوباسو! 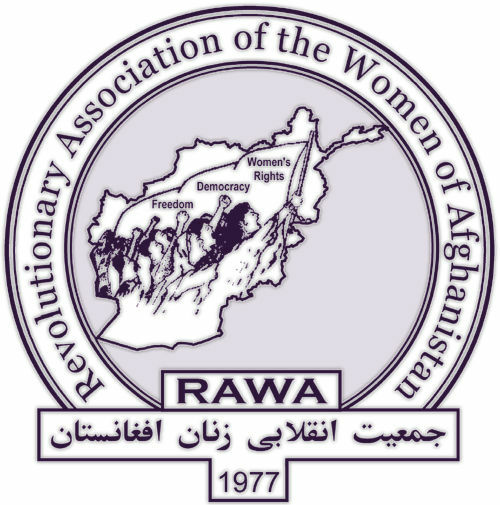 June 1, 2010: RAWA statement on "Consultative Peace Jirga"
نه امریکا، نه خاینان ۸ ثور، ۷ ثور و طالبی، افغانستانی مستقل و دموکراتیک! the occupation, Taliban and National Front criminals are not sacked! بدون راندن اشغالگران و جنایت پیشگان طالبی و «جبهه ملی»، رهایی زنان افغانستان ممکن نیست! د طالبي، ملي جبهې او اشغا‌لګرانو د ځغلولو پرته؛ د افغانستان د ښځو خلاصون شونى نه دى! علیه جنایات جنگی امریکا و نوکران بنیادگرایش بپا خیزیم! December 13, 2018, Time: It was a sunny morning in early December last year when 23-year-old Khadija set herself on fire. She kissed her three-month old son Mohammed goodbye and said a short prayer. “Please God, stop this suffering,” she pleaded in the sun-soaked courtyard of her home in Herat, Afghanistan as she poured kerosene from a copper lamp over her small frame. She then struck a match. The last thing she heard were birds chirping. December 11, 2018, The New York Times: At least 12 people were killed on the outskirts of Kabul on Tuesday when explosives in a vehicle detonated near a convoy of security forces, Afghan officials said, and at least 12 others were wounded. It was the deadliest of several violent attacks across Afghanistan on Tuesday that left a total of more than 30 dead, most of them members of security forces. December 9, 2018, TOLOnews.com: The Integrity Watch Afghanistan (IWA) survey shows that Afghanistan’s legal, judicial and educational institutions remain the “most corrupt” among government institutions. Based on the survey, after insecurity, unemployment and corruption are among the major concerns of the Afghan people. December 7, 2018, Associated Press: Wheat and opium farmer Murad Khan Ishaqzai, 80, has never seen a drought as bad as the one ravaging western Afghanistan where more than 250,000 people have been forced to abandon their homes. After his crops dried up in Gormach district of Badghis province earlier this year, Ishaqzai rented a truck and drove his family hundreds of kilometres through Taliban-infested areas to the neighbouring province of Herat.